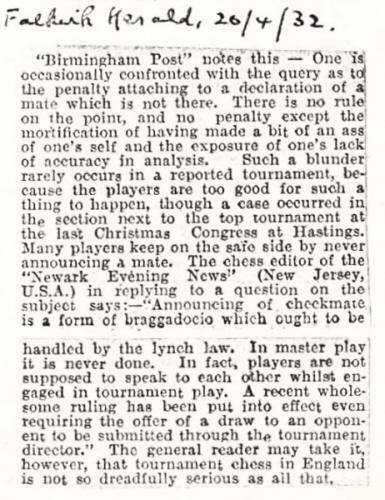 Is there unanimity today among administrators and officials on the procedure applicable if a player announces mate during a game (and, additionally, in case of an incorrect announcement)? Information will also be welcomed on the most recent games to contain mate announcements. 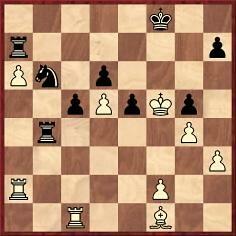 Have there been many significant specimens since Marshall v Bogoljubow, New York, 1924, in which White announced mate in five moves at move 38? The Factfinder refers to a number of older examples of announced mates, and one case of an announced stalemate. ‘For more than 30 years I have worked as a chess arbiter, and it has never happened that a player announced checkmate in x moves. The player can be given a warning, but I would also be inclined to add some extra time to the opponent’s thinking time, and especially if any such remark were made when the opponent was short of time. Bogoljubow overlooked that after 51 g6+ Kh6 there could occur 52 Qh8+ Kg5 or 52 Qh4+ Qh5. The relevant text is on page 121 of Bled 1931 International Chess Tournament translated by Jimmy Adams (Yorklyn, 1987). 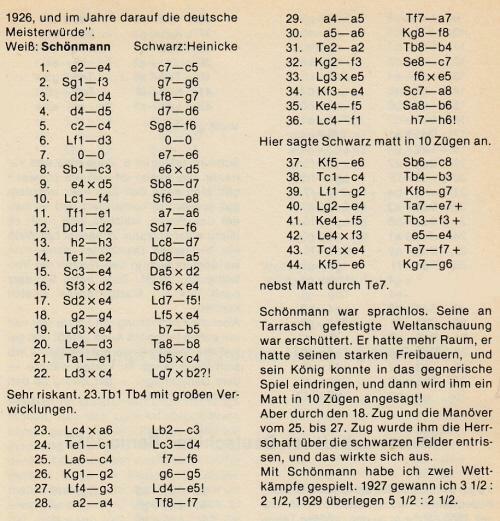 Mr Wrinn also mentions that the English edition includes an article by Salo Flohr, translated from a 1976 issue of 64, which refers to the announced mate (on pages xi-xii). See too page 29 of the March 2003 CHESS, in which issue the full Flohr article was reprinted. Wanted: early examples of announced mates, as well as information on how the practice began and developed. Richard Hervert (Aberdeen, MD, USA) asks whether anything further can be found about the announcement of an alleged mate-in-ten first discussed in C.N. 1857. See page 83 of Chess Explorations, as well as pages 29-30 of A Chess Omnibus and a Chess Explorations article of ours at ChessBase.com dated 31 May 2008. The latest computer check still suggests that there is no clear mate. 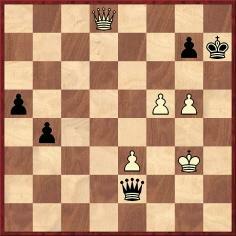 Black wins in all lines, and 37 Kg6 offers more resistance than 37 Ke6. 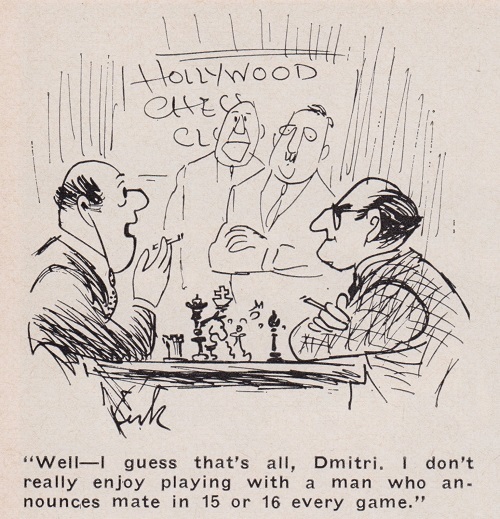 Source: Lasker’s Chess Magazine, December 1904, page 59. Latest update: 15 August 2017.